The key word surrounding China’s Electronics & Systems sector ahead of this year’s edition of Automechanika Shanghai is opportunity. Given the rising interest in new energy vehicles, connected mobility, autonomous driving and related technologies, many international automotive markets are turning to China and its surrounding Asian regions to explore the myriad of opportunities presented in these thriving sectors. Now more than ever, the ‘digitalisation trend’ has an extremely strong foothold in the global auto sector, and this is considered the future of the industry in Asia too. 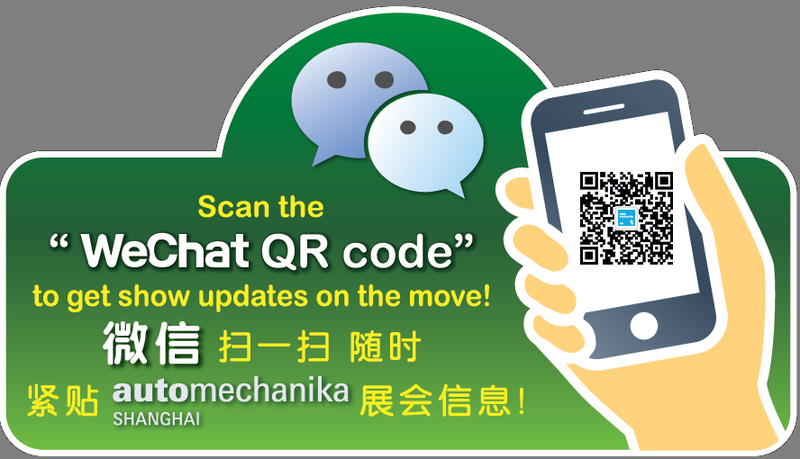 With less than a month to go until Automechanika opens its doors to over 130,000 visitors and 6,051 exhibitors at the National Exhibition and Convention Center in Shanghai, the industry is preparing to explore a gathering of ‘tomorrow’ solutions in what is anticipated to be the most advanced edition yet. Many of the opportunities in this sector will be most prevalent at the show’s E-mobility and Infrastructure Zone and across the Electronics & Systems sector which, thanks to growing interest from visitors and exhibitors alike, will have a significantly bigger participation this year. These areas will gather over 1,200 exhibitors from around the world to discuss the most recent advancements ranging from new energy cars, electric motors, connected cars, car safety, engine electronics, electrical systems, to comfort electronics, and much more. Additionally throughout the entire fair, visitors will be able to explore the crossover of these technologies into various other automotive sectors, including Parts & Components, Repair & Maintenance, and Accessories & Customising. On top of these dedicated areas, some of the world’s biggest players are also expected to introduce their own developments in electronics and systems to the Chinese market at the show. One such exhibitor is ZF Aftermarket, one of the world’s biggest players in the aftermarket sector. The company recently implemented a ‘Vision Zero’ strategy, whereby the company’s goal is to achieve zero emissions and zero accidents for all of their vehicles. ZF also has an automotive connectivity solution called Openmatics, which can provide asset telematics, tracking, diagnostics and engineering to improve transparency and fuel efficiency. Mr Ganesh Rajagopalan, Head of ZF Aftermarket’s IAM in China and Hong Kong, says this solution will be demonstrated to visitors at Automechanika Shanghai, and also believes there is untapped potential for the aftermarket sector in particular to explore in Asia. “Our presence at Automechanika Shanghai will be significantly bigger than what it was last year, which makes sense considering how much vehicle usage and the average vehicle age are both growing. We definitely consider China and Asia as a hotbed for growth in connected mobility,” Mr Rajagopalan added. During the show, the company will also be presenting products from its various aftermarket brands such as Sachs, Lemförder, TRW and Openmatics. With the theme of ‘Accelerating the Race to Autonomous Driving’, this year’s Connected Mobility Conference is one of the many highly anticipated fringe programme events during Automechanika Shanghai. Confirmed include the steps to succeed in autonomous driving, the technological challenges, applications, standardisation, and the future of the industry. Confirmed speakers include representatives from numerous industry leaders, including Chery Automotive, Qoros, and Baidu’s Autonomous Driving Unit. Dr Wayne Loh is the Assistant President and Executive Director for the Product Technical Center at Chery Automotive, and will be a keynote speaker at the conference. He says that when discussing the ‘race’ towards autonomous driving, there are two big opportunities for manufacturers working in the Chinese market. “We consider this an opportunity because from a car manufacturer’s perspective, it’s important to always keep improving on technologies and staying ahead of the trend. In fact, we recently collaborated with the Autonomous Driving Unit at Baidu, which saw the creation of 20 electric vehicle prototypes capable of being completely autonomous,” Dr Loh added. Meanwhile, a total of 57 fringe events have been scheduled during the course of Automechanika Shanghai, covering multiple industry sectors. This includes the AIAG Auto Parts Purchasing Leadership and Suppliers Summit, co-organised with the Automotive Industry Action Group (AAIG). Here, many purchasing executives from the world’s leading automotive firms will gather to discuss their sourcing strategy, needs, and supply chain developments to auto suppliers in Asia and China. Speakers include Mr Robyn Garfield, Commercial Officer, US Consulate General Shanghai, Mr Joe Smyth, Purchasing Vice President of Ford Asia Pacific, Mr Sean Lian, Director of Global Purchasing Supply Chain, GM China, Mr Kegel Stefan, Purchasing Vice President, Bosch Asia Pacific, and many more. The fringe programme this year also includes the China Auto Technology Achievement Transformation & Investment Forum, jointly organised by Automechanika Shanghai and the China Electronics Chamber of Commerce (CECC). This forum will focus on the automotive industry‘s hottest topics across electric vehicles, automation, intelligent systems and connected mobility. It will also look into solutions for commercialising academic collaborations, and will discuss how electronic product development can contribute to the connectivity sector’s success. Also scheduled is The 3rd Summit: Merger and Acquisition Strategies for Chinese Automotive Corporations in the Overseas Markets, which will focus on communication strategies between domestic and foreign governments, industry organisations and associated cooperations. It will also explore the numerous challenges and opportunities for foreign investment, partnerships and developments under the ‘One Belt One Road’ Initiative. Elsewhere is the AUTOHAUS China 8th International Dealer Summit 2017, which will primarily focus on new policies and technologies in after-sales service and in the second-hand car market. The speakers will cover a range of topics including the revolution of new technology and consumerism, dealer opportunities and challenges under the trends of new energy vehicles, driverless technology and sharing economy aftermarket. As for the topics related to the Repair & Maintenance sector, the China Collision Industry Summit will cover a wide range of subjects for the collision sector, such as insurance and financing, new repair technologies, and training and education, in a bid to promote the sector’s development and cross-industry collaboration.